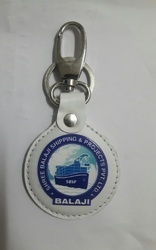 Backed by a team of experts, we are manufacturing and exporting an eye catchy collection of Key Chains that are designed and developed at our well equipped fabrication unit using optimum quality primary material. Our valued clients can avail these in various attractive colors, shapes and designs to meet their actual application requirements. We are successfully meeting the varied needs of our clients by offering a wide gamut of Handmade Customized Keychain as per their precise needs. Keychain with high quality metal in silver finish. Can be customized with any logo, companys tagline on both sides. Two different designs supported on front & back.Minimum- 500 pcs. 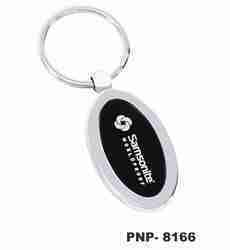 With the constant support of our dexterous crew of technocrats, we are fulfilling the varied requirements of clients by manufacturing, trading and supplying optimum quality Customized Key Chain. - Used for corporate gifting purposes.